Spent about SGD $250 per person. Copthorne Orchid Hotel Penang is an aging hotel. The actual building itself has changed ownership at least 3 times over the last 20 years, and is currently operated by Copthorne International. Not surprising, the facilities and decor show signs of age, fortunately, the Copthorne Orchid Hotel Penang is well maintained. Copthorne Orchid Hotel Penang has its own private beach, and while small, is rather scenic. Most rooms also have a sea view, which is one of the highlights of staying here. 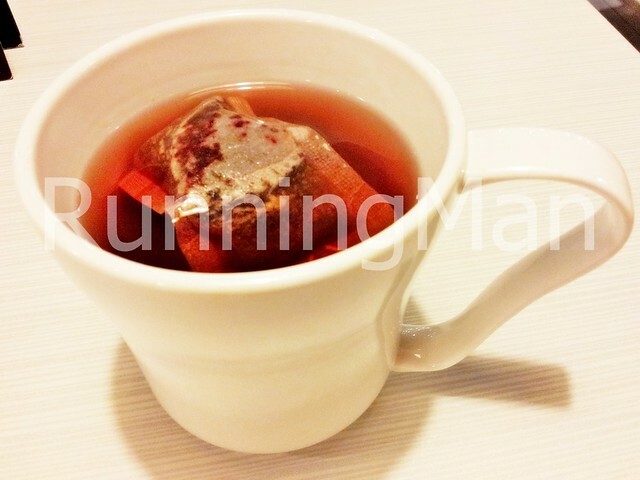 We stayed at a Superior Room during our stay at Copthorne Orchid Hotel Penang. The room is comfortable, with proper beds, bathroom facilities, air conditioning, and enough space to place a third bed. TV channels are the standard Malaysian channels, with the option to upgrade to cable. However, the bathroom sink didn't have any hot water, and the mini fridge was empty. There is also no safe deposit box in the room. 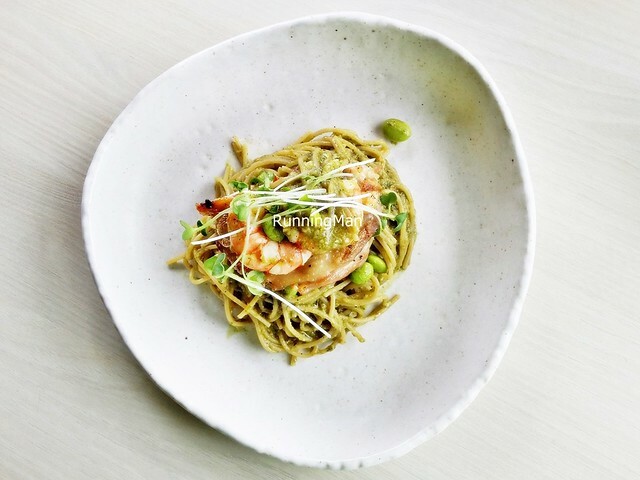 The main restaurant at Copthorne Orchid Hotel Penang is Terrace Bay Restaurant, which is open 24 hours daily. Food quality is average to below average, and I wouldn't recommend dining here, as Penang has plenty of good street food at all hours of the day and night. The staff at Copthorne Orchid Hotel Penang are friendly and professional, able to converse fluently in a few different languages. They can, upon request, help to arrange tours, transportation or water sports. Plus, they also give some slight leeway when calculating usage time of the Internet Centre... They always round down by about 10 minutes. However, the gift shop doesn't stock bottled water, requiring you to purchase it directly from room service instead. 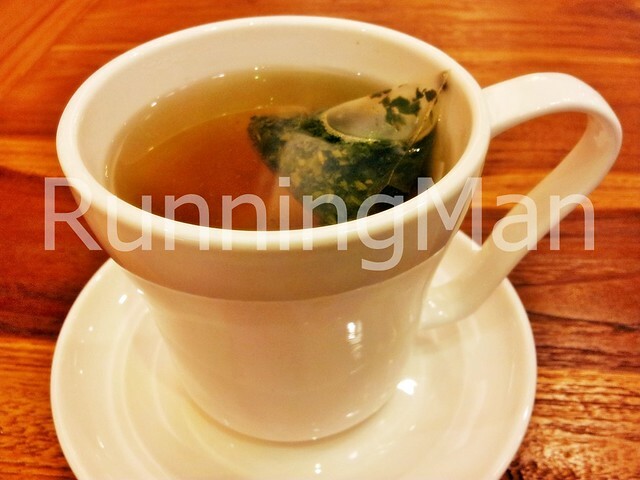 Copthorne Orchid Hotel Penang has somewhat limited facilities. Both Gym and Arcade are rather small, and the Pool Bar has a small menu. There isn't much activities to take part in around the hotel, and not much to occupy children. 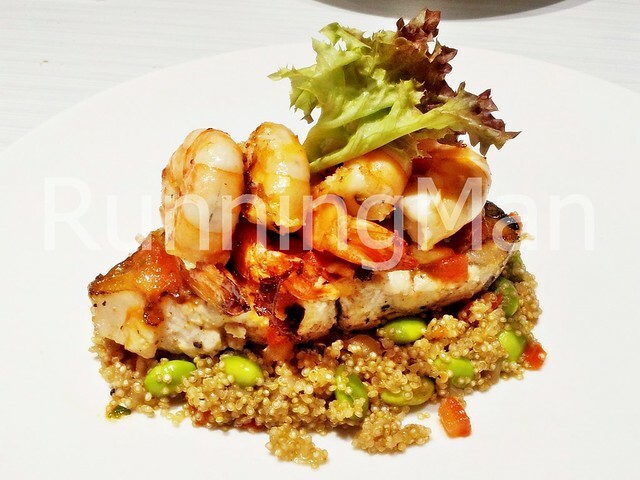 If you're staying at Copthorne Orchid Hotel Penang, plan external activities instead. Fortunately, Copthorne Orchid Hotel Penang is located just behind one of Penang's tourist attractions, the Toy Museum. Scrambled Eggs Breakfast is a type of dish that originated in Britain, and comprises of Scrambled Eggs along with a few other sides. 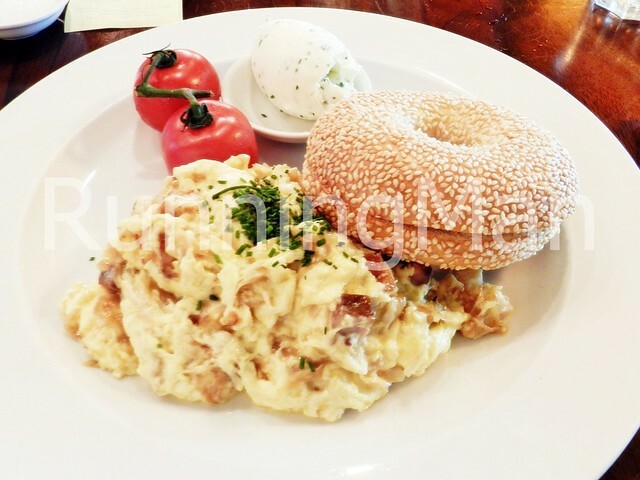 Today, Scrambled Eggs Breakfast is popular throughout the United Kingdom and the United States Of America. The Scrambled Eggs for Scrambled Eggs Breakfast is usually made with beaten eggs, cream / milk / butter, salt, water, pepper and oil. 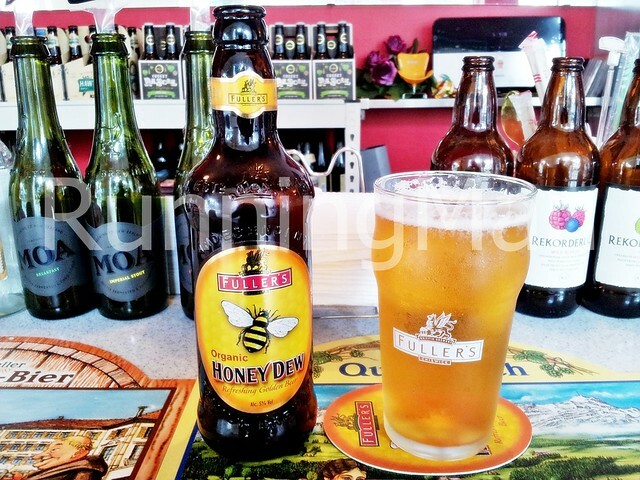 This gives it a smooth, creamy consistency. 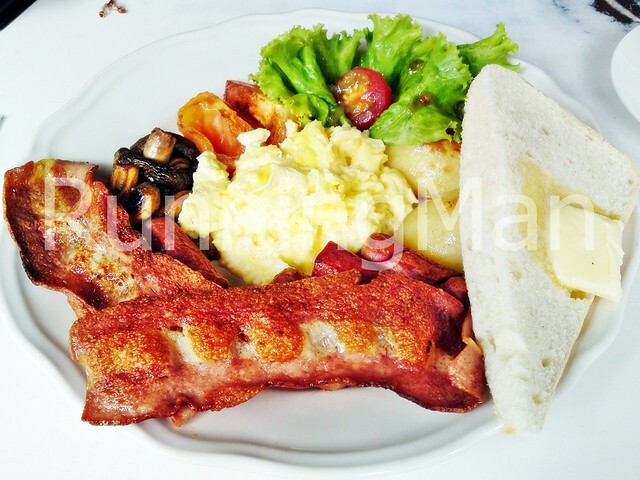 Other sides that traditionally accompany a Scrambled Eggs Breakfast include Baked Beans, Sausages, Bacon / Ham, Hash Browns / Potatoes, Toast / Biscuits, Mushrooms and Tomatoes. 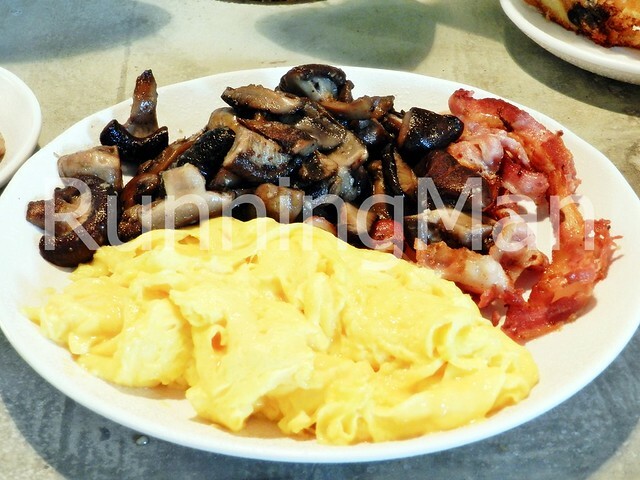 The Mushrooms used in Scrambled Eggs Breakfast are traditionally button mushrooms or field mushrooms, and are either roasted, grilled, pan fried, or battered and deep fried. The Tomatoes in a Scrambled Eggs Breakfast are prepared in a similar way, using either the standard tomatoes or cherry tomatoes. The Baked Beans used are normally the canned variety which has a sweet tomato sauce. 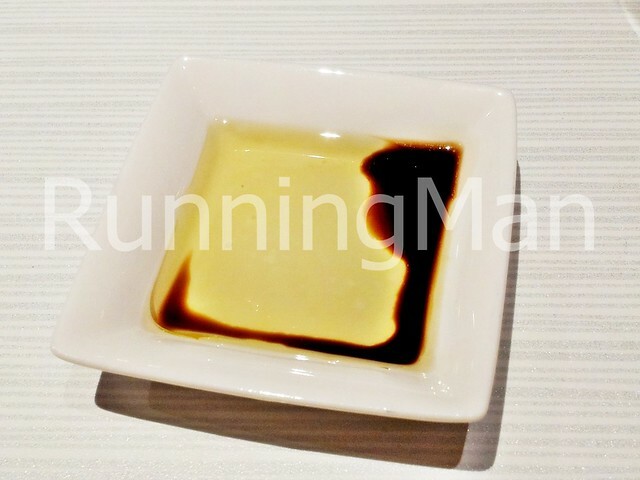 Toast / Biscuits are also served with a Scrambled Eggs Breakfast, and the bread has to be soft and absorbent enough to soak up any juice or sauce on the plate, or combined with the Scrambled Eggs and eaten. 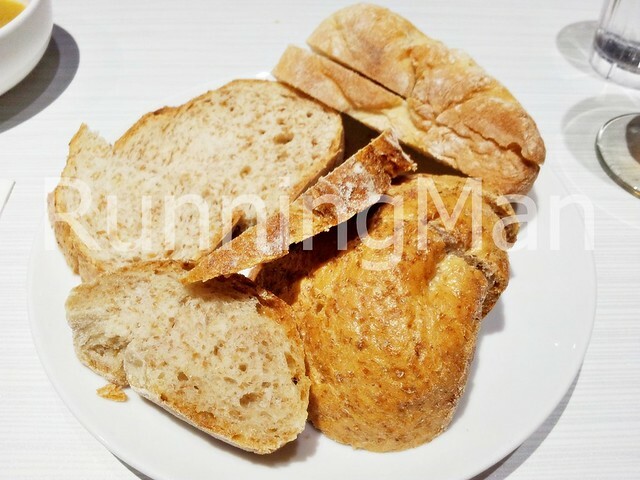 Because of this, the bread used is either plain white bread, brown bread, brioche, sourdough, rye bread, American biscuit or British scones. The bread is lightly toasted, and served with butter. 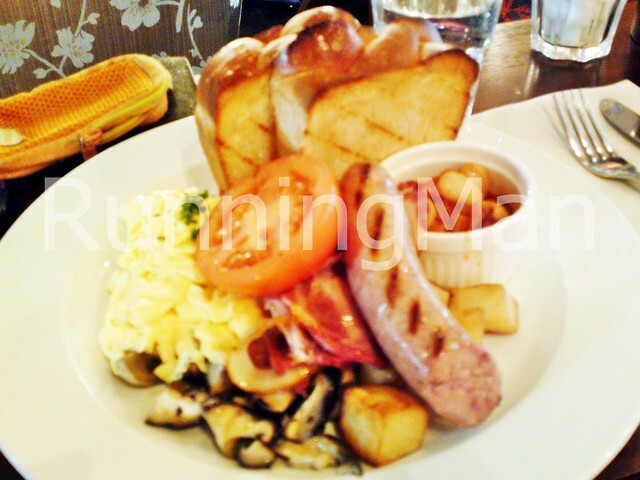 The Sausages served in a Scrambled Eggs Breakfast are normally plain, meaty sausages, without any herbs or spices stuffed within. 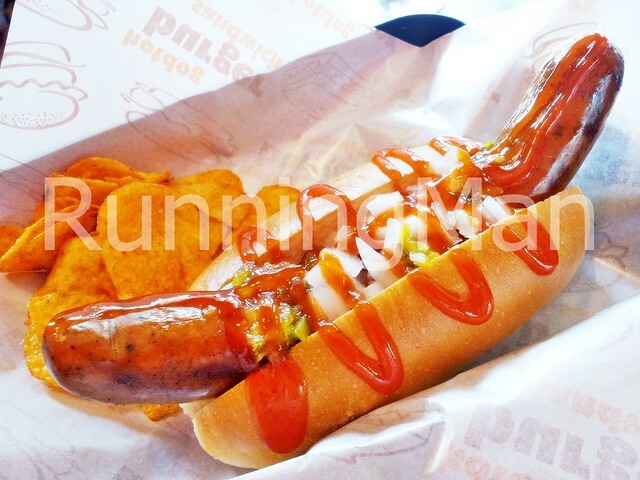 Thus, Sausages served are normally plain pork sausages, plain chicken sausages or plain beef sausages. 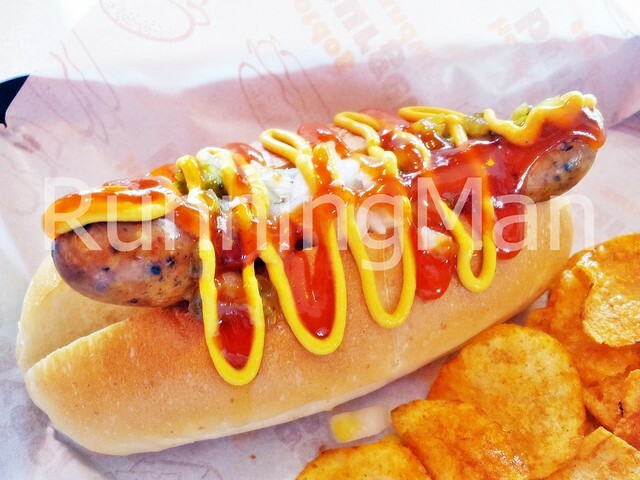 Herbed sausages or spicy chili sausages are never served in a Scrambled Eggs Breakfast. The Bacon / Ham used in Scrambled Eggs Breakfast is either back bacon, streaky bacon, plain pork ham or smoked pork ham. Halal stalls may substitute this with turkey bacon or turkey ham. The Bacon / Ham is either grilled or pan fried. The Hash Browns / Potatoes in a Scrambled Eggs Breakfast are either grilled potatoes or deep fried hash browns. 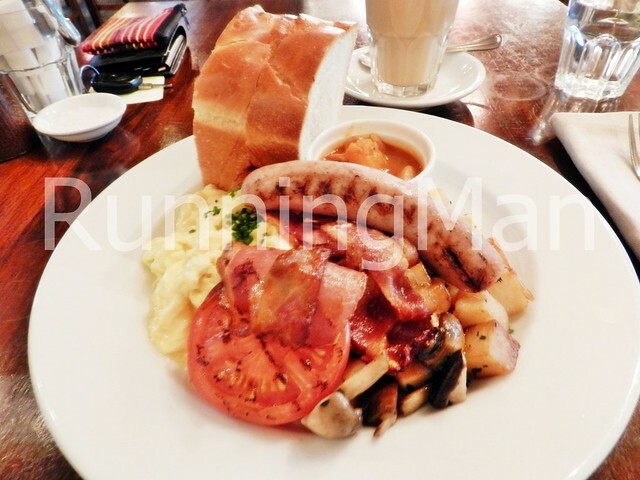 In Singapore, a Scrambled Eggs Breakfast is also commonly known as a Full Breakfast, Big Breakfast or Continental Breakfast. Stalls that serve Scrambled Eggs Breakfast throughout the day often term it as an All Day Breakfast. 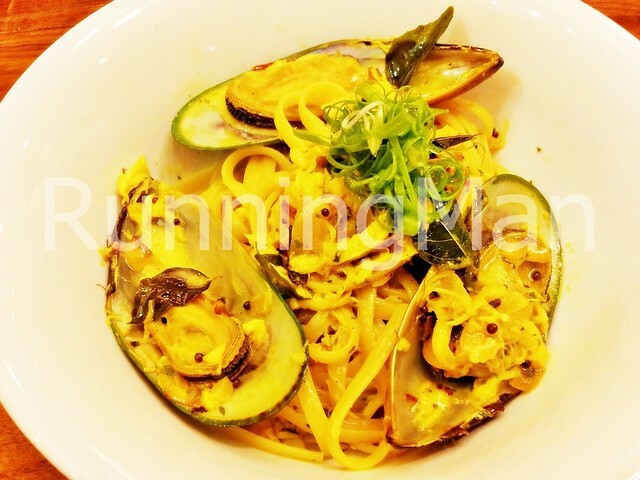 There is often an option to choose the preparation style of the eggs, either scrambled, omelette, fried, sunny side up, soft boiled, hard boiled, over easy or poached. 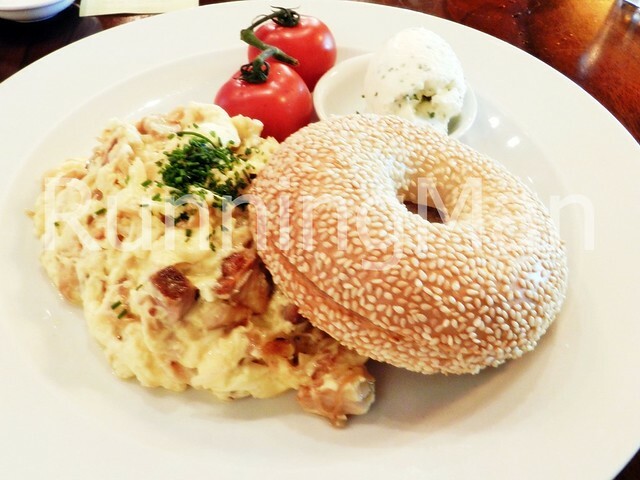 In Singapore, Scrambled Eggs Breakfast isn't a street food, rather, it is typically sold in mid-range cafes / bistros. Scrambled Eggs Breakfast is one of my favourite dishes to have for breakfast. Love the smooth, creamy eggs! 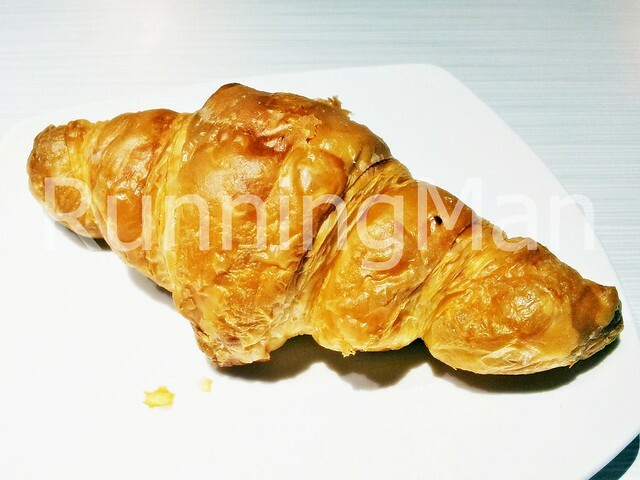 These are the top 3 stalls which I feel serve the best Scrambled Eggs Breakfast in Singapore. The unique name first caught my attention when I walked by Lil Papa's Wieners Beerstro. 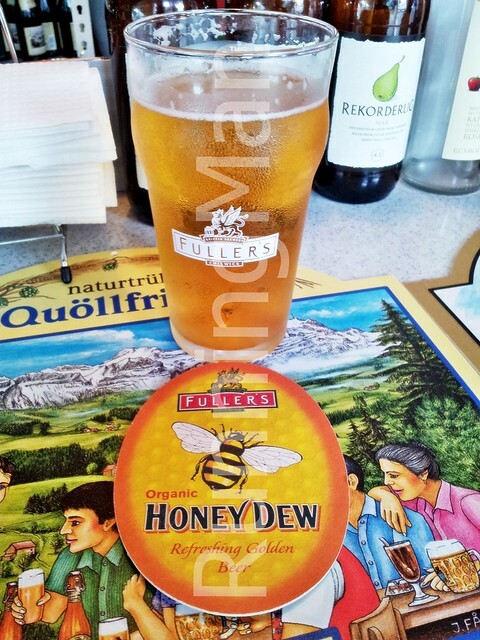 A beerstro? First time I've heard of it. 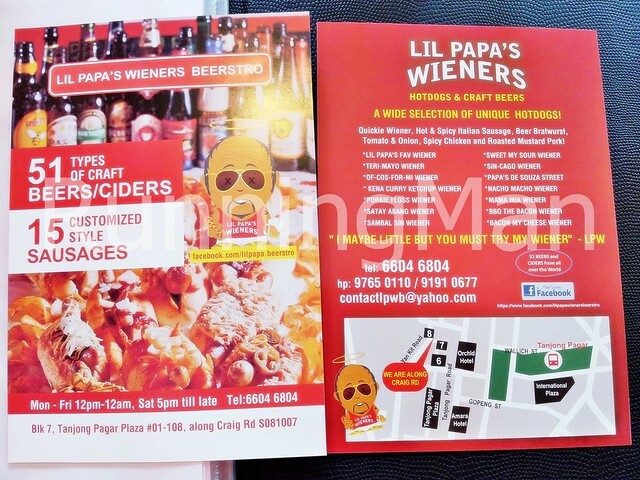 But Lil Papa's Wieners Beerstro is aptly named, for they have over 50 different types of craft beers from around the world. Lil Papa's Wieners Beerstro is a small snack joint / kiosk, capable of seating about 20 people. You do however, have a choice of dining indoors or outdoors, although most of their customers order take-away instead. 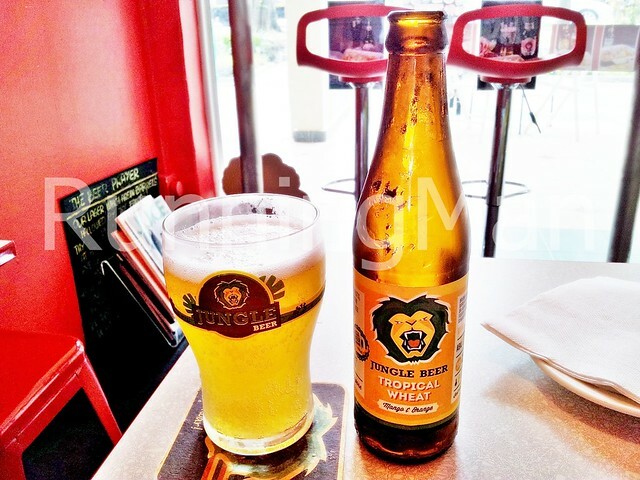 But the ambience at Lil Papa's Wieners Beerstro is just right for a relaxing afternoon beer, or chilling in couples / small groups at night. Service at Lil Papa's Wieners Beerstro is friendly and personal, and as they don't have many staff, the Boss, Fabio de Souza, and his wife Judy, often mingle with customers, take orders, and also prepare the food. 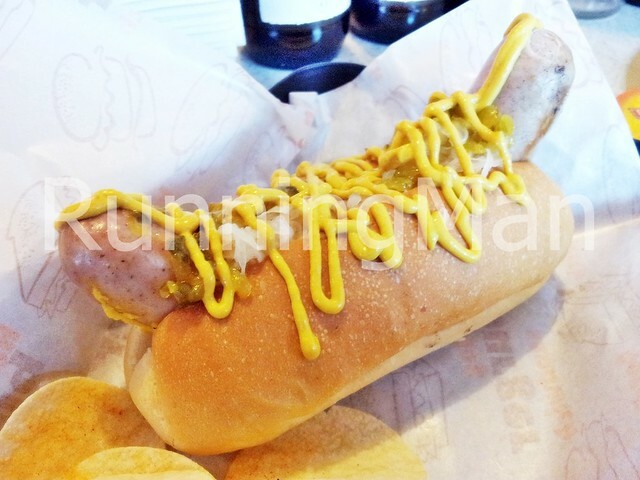 Tip: Ask for recommendations of Hot Dog and Craft Beer pairings! 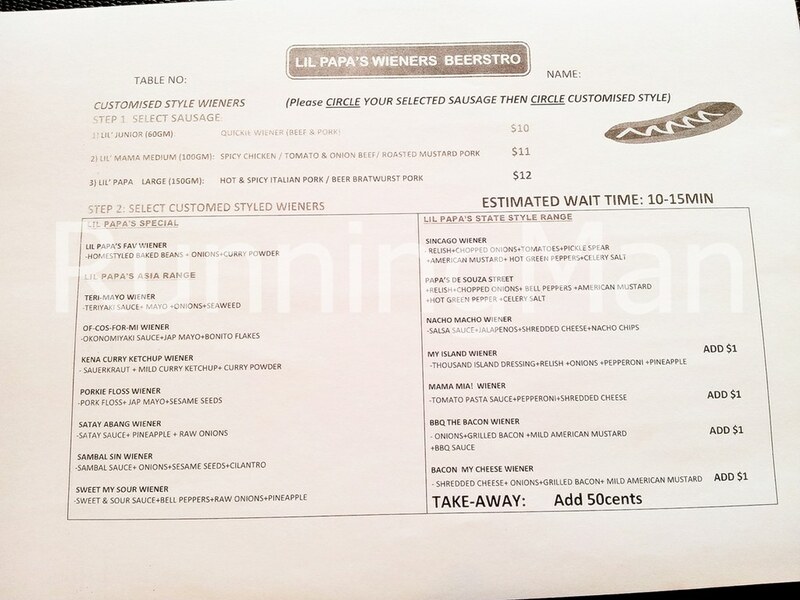 As for food and drink at Lil Papa's Wieners Beerstro, they only have 2 very specific categories to choose from; Craft Beers and Hot Dogs. 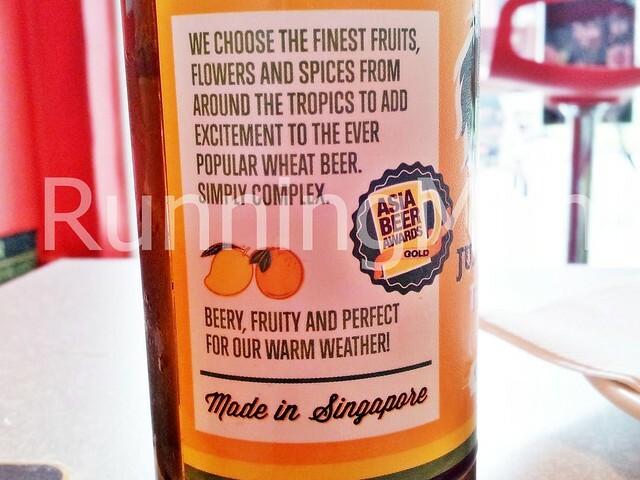 Fortunately, they have many different types of beer as mentioned above. 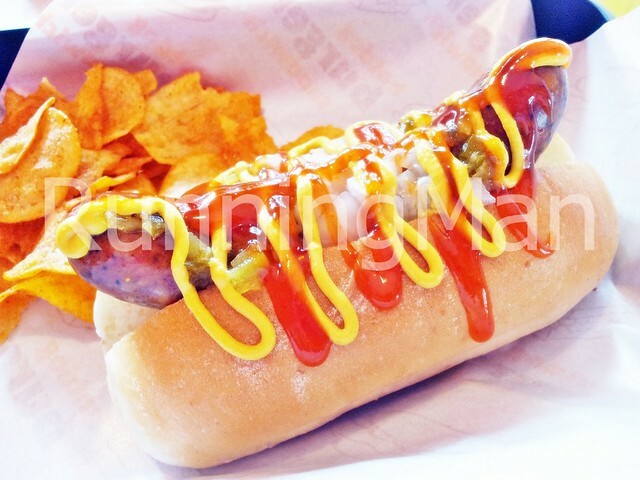 And while their only food available is Hot Dogs, they offer over 30 different toppings and 6 types of sausages, including 15 pre-selected combinations. 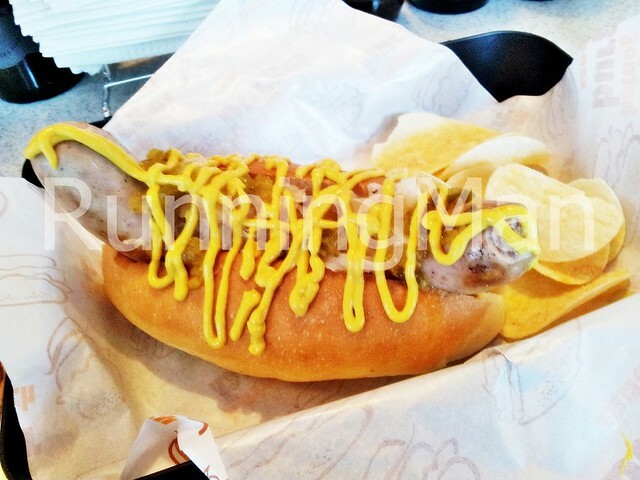 Plus, you can choose to customize your own Hot Dog. 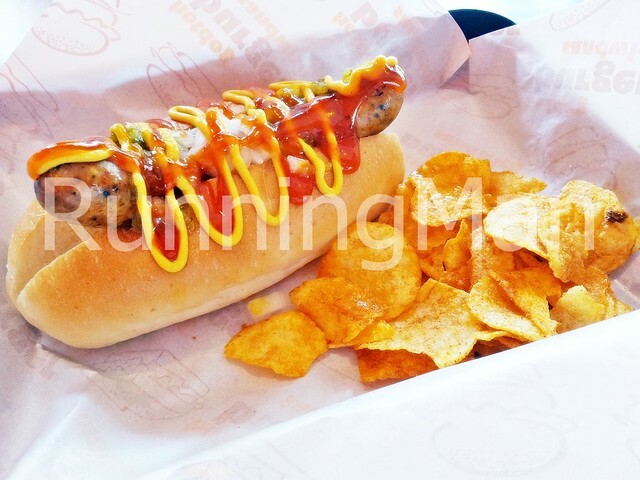 Each Hot Dog combo is served with a glass of Lemonade and a side of potato chips. Beer and Hot Dogs... The perfect American snack! 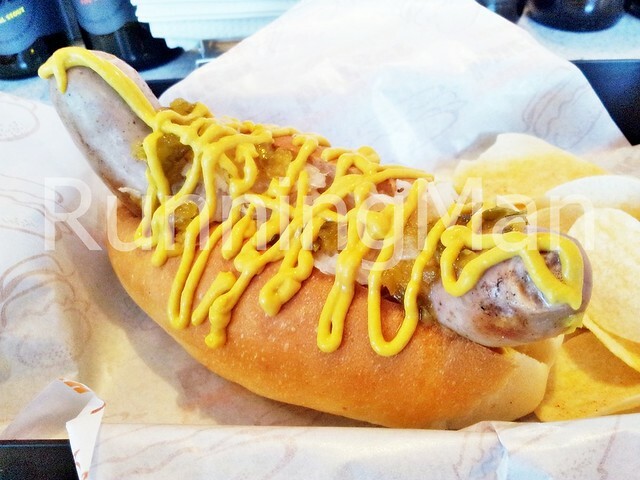 When Lil Papa's Wieners Beerstro first opened in June 2012, they only had craft beers on the menu. Hot Dogs were then introduced a few weeks later. Hopefully, as word of this niche bistro run by passionate owners spreads, they'll be able to offer more variety of items on their menu. 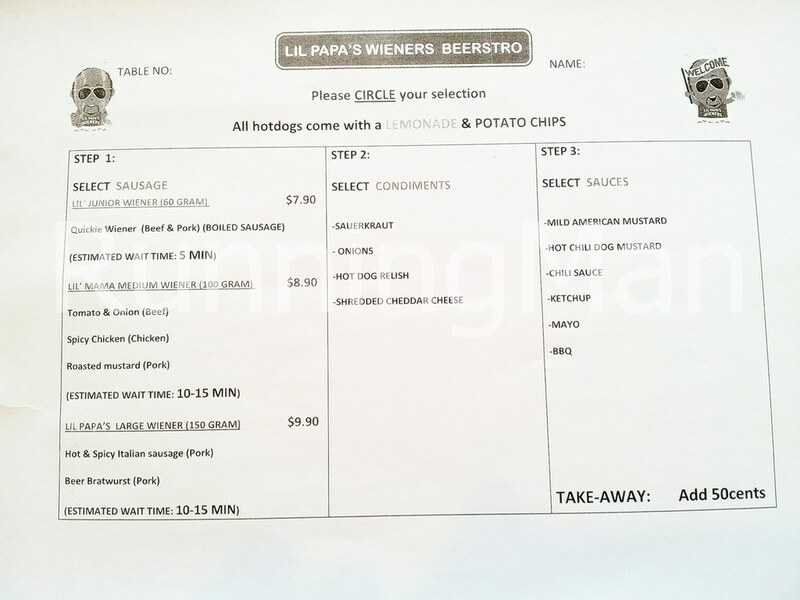 Lil Papa's Wieners Beerstro has over 51 types of craft beers, and more than 30 different Hot Dog toppings that can be paired with 6 different types of sausages. 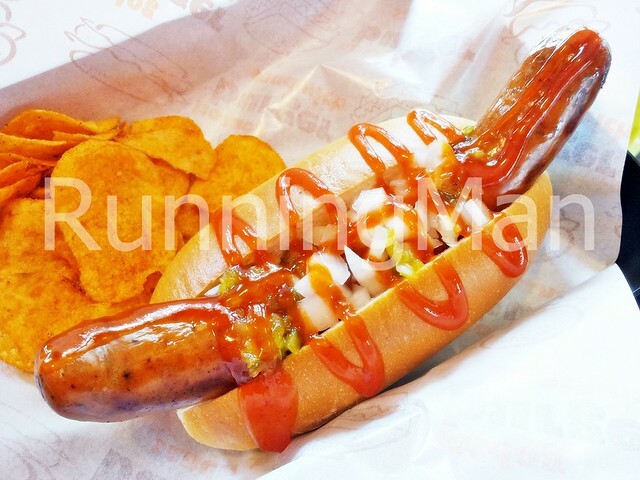 You can choose to customize a Hot Dog, or order any of the 15 pre-selected combination of Hot Dog toppings. 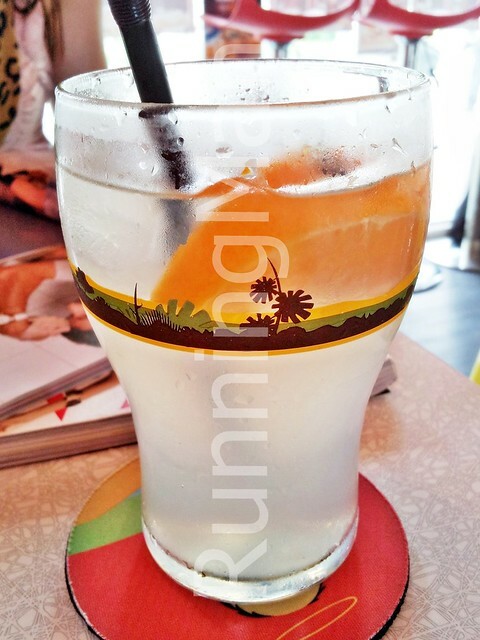 An order of a Hot Dog combo comes with a refreshing glass of Lemonade. 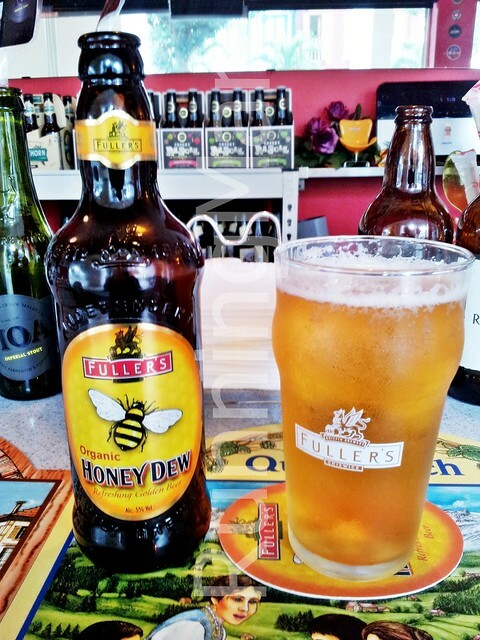 Good, but not house-made. 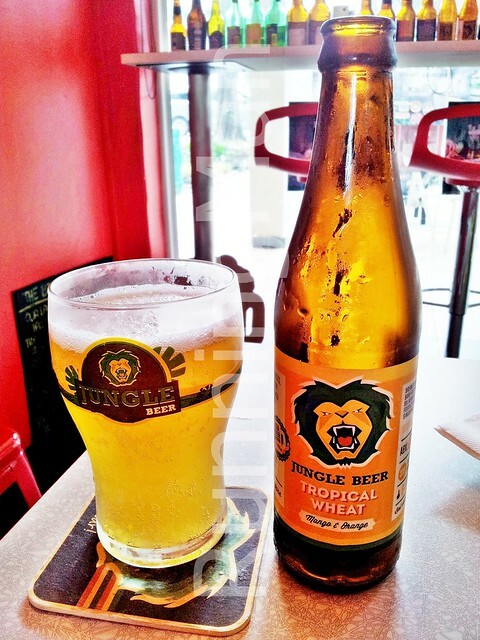 The Jungle Beer Tropical Wheat Mango And Orange Beer is a locally made Singaporean beer. 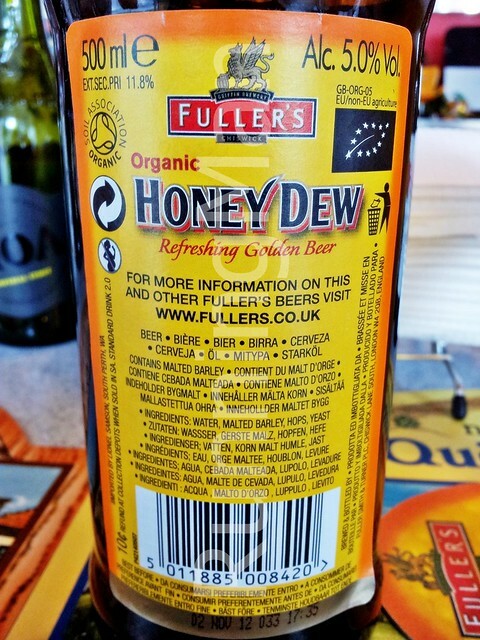 I loved the fruity citrus flavour, and it didn't have a bitter aftertaste. 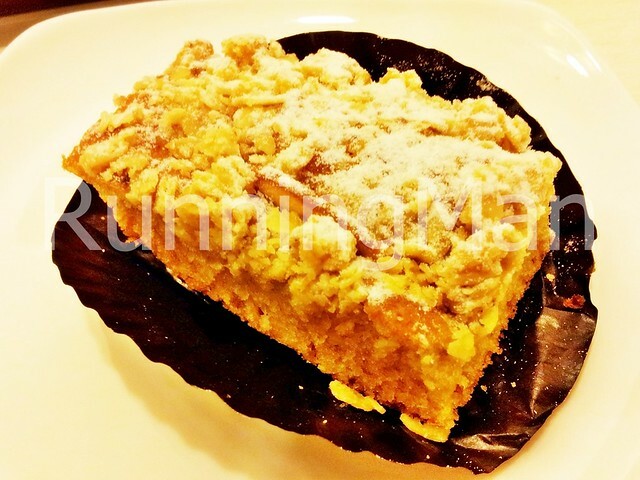 Otah is a popular Malay / Nonya-Peranakan snack food that originated from Penang, Malaysia. 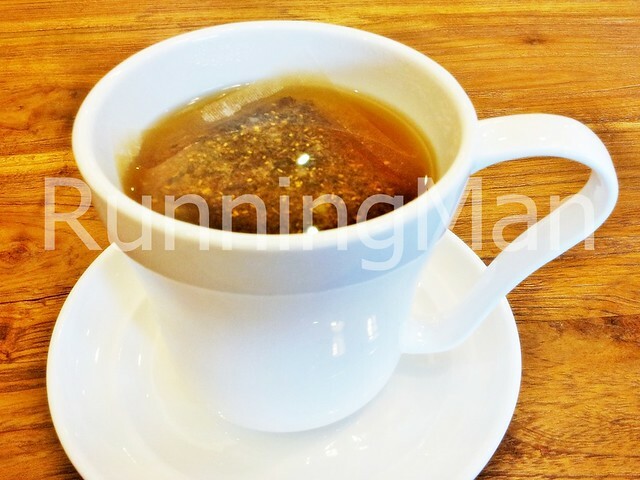 Today, Otah is popular throughout Malaysia, Indonesia and Singapore. 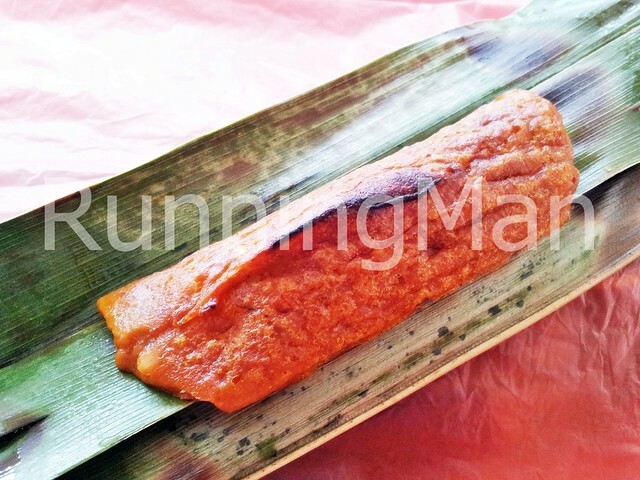 Otah is a flat cake made from fish paste, usually spanish mackerel fish. 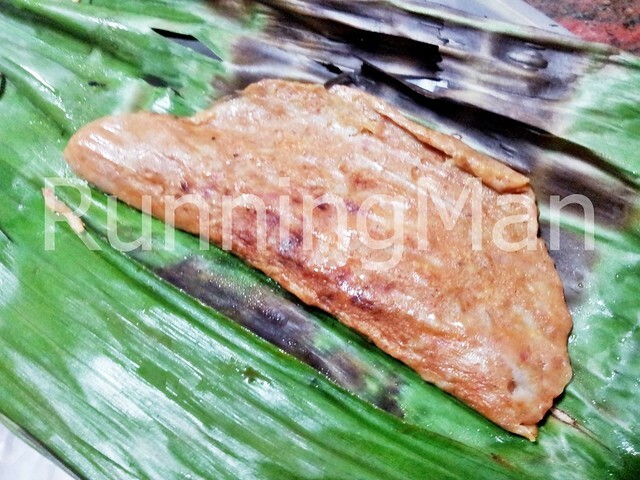 The fish paste is mixed with water, salt, chili, shallots, ginger, garlic, oil, corn flour, rice flour, powdered turmeric, curry powder, sugar, kaffir lime leaves, shrimp paste (Belacan), lemon grass and coconut milk. 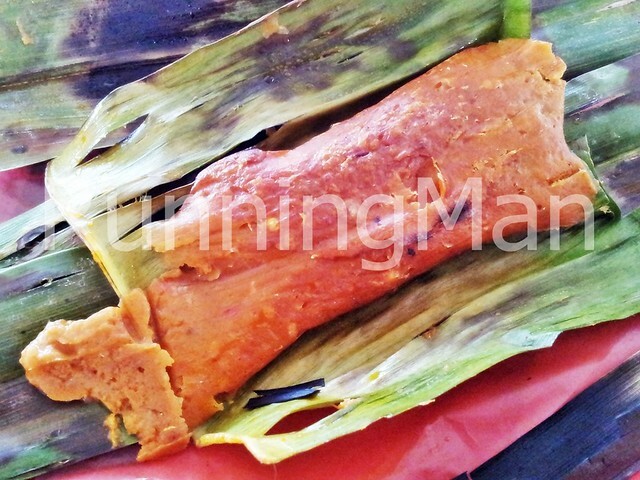 This Otah mixture is then wrapped in a steamed banana leaf, and grilled. 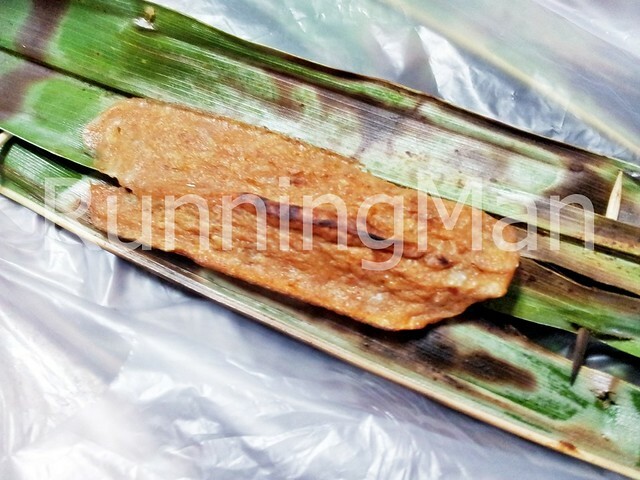 While Otah made from fish paste is the most common, other types of seafood paste have been used to make Otah as well. This includes squid paste, prawn paste and crab paste. 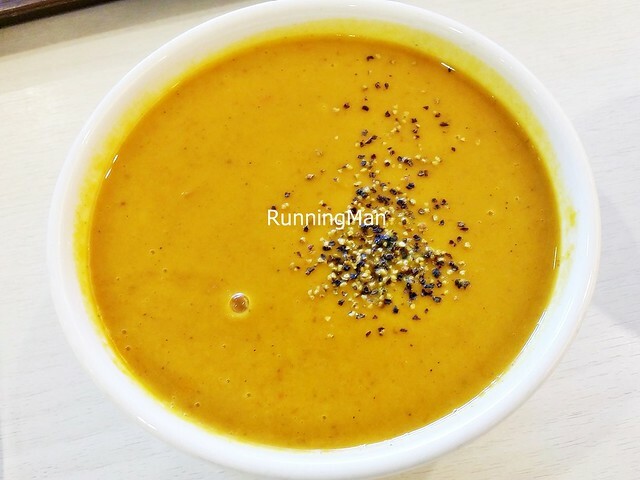 The Otah sold in Singapore usually comes in 2 sizes. 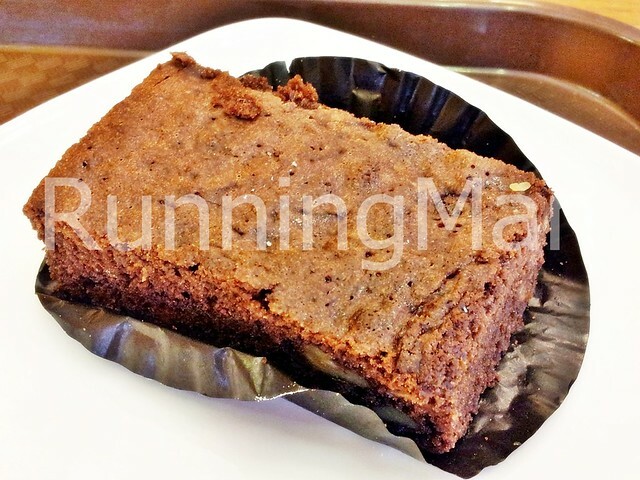 The most common version is a long thin strip of Otah, while the other version is a flat rectangular cake of Otah. Otah is often eaten as a snack, or served with bread or rice, especially during breakfast. Otah is a great snack food, and I find the spicier ones more addictive! 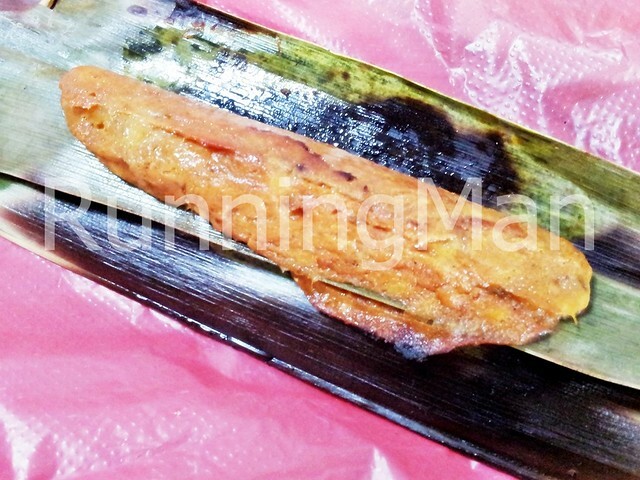 These are the top 3 stalls which I feel serve the best Otah in Singapore. Cedele (All-Day Dining Restaurants) claims they make artisinal food you'll love... Well, I loved it! 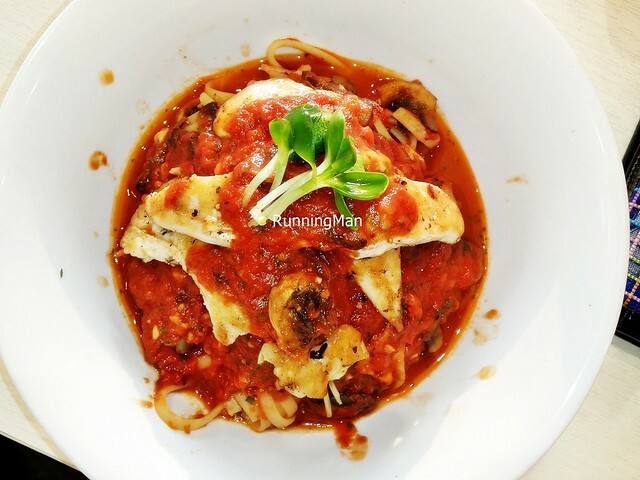 Their food is fresh, with a clean, healthly approach to cooking, you can taste the difference! 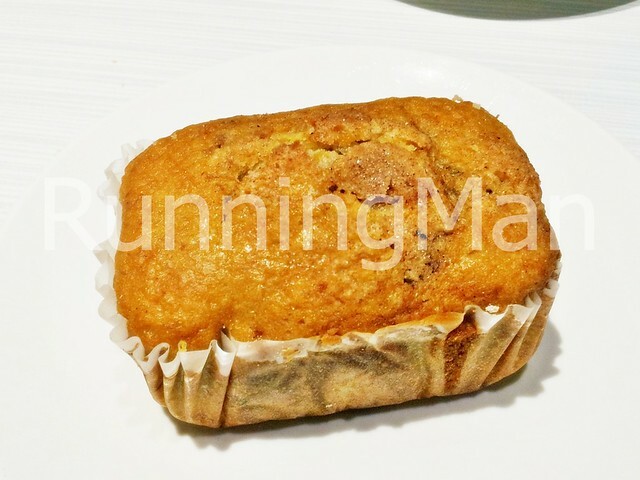 As a bakery, Cedele has some great baked goods, bread and cakes. 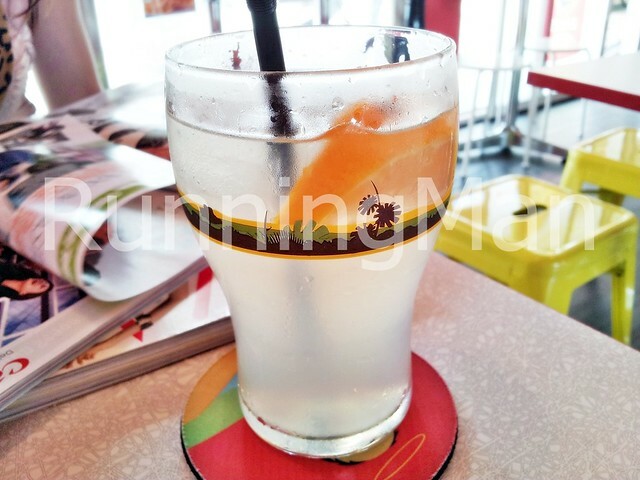 But their Cedele (All-Day Dining Restaurants) also feature healthy food that taste good. 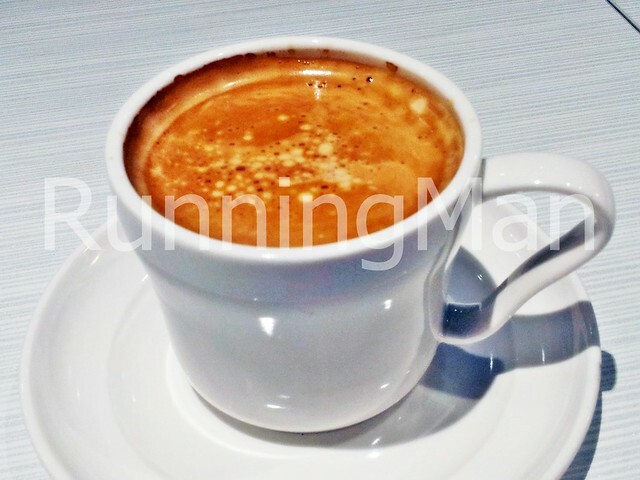 Prices are reasonable for a mid-range cafe, and quality of the food is above average. Service at Cedele (All-Day Dining Restaurants) is good, staff are friendly, cheerful and polite, and dishes are served quickly. Tables are cleared promptly as well. Ambience at Cedele (All-Day Dining Restaurants) is clean, simple and cozy. 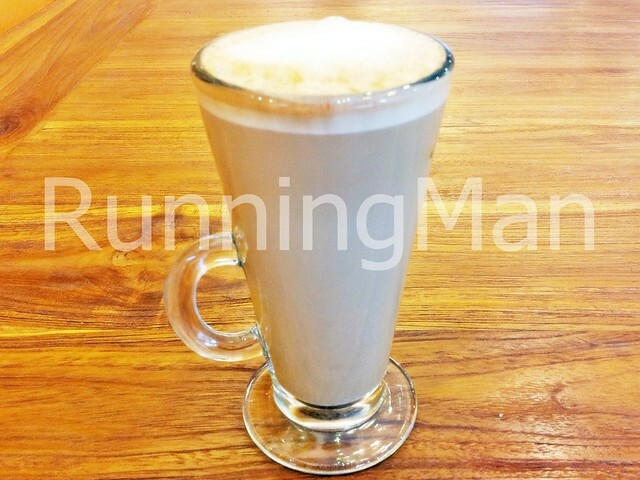 Great place to chill and relax over coffee (or tea), with a cake or pastry. 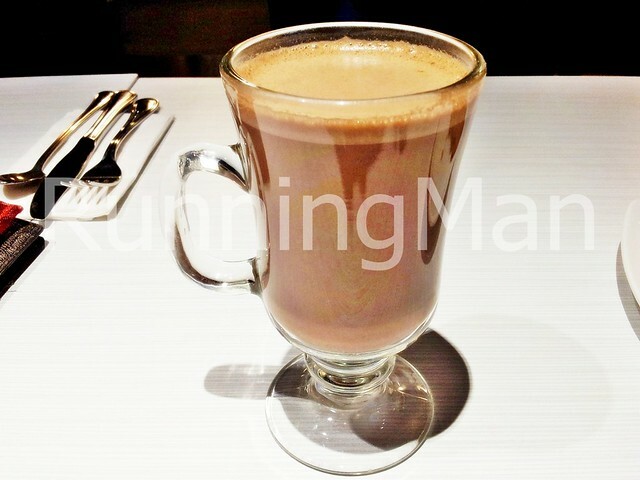 I especially love the Hot Chocolate and Breakfast / Brunch at Cedele (All-Day Dining Restaurants)! 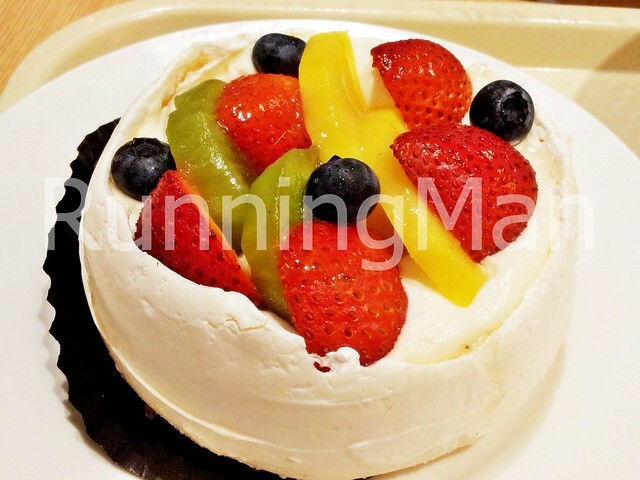 A New Zealand dessert named after a Russian Dancer, the Mixed Fruit Pavlova has fresh, sweet fruit, complementing the sweet candy base. 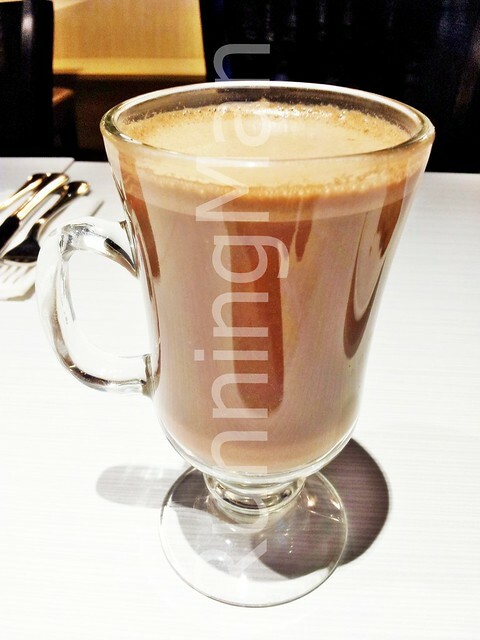 Loved the various types of Hot Chocolate here, I feel it's probably among the best Hot Chocolate I've had in Singapore. 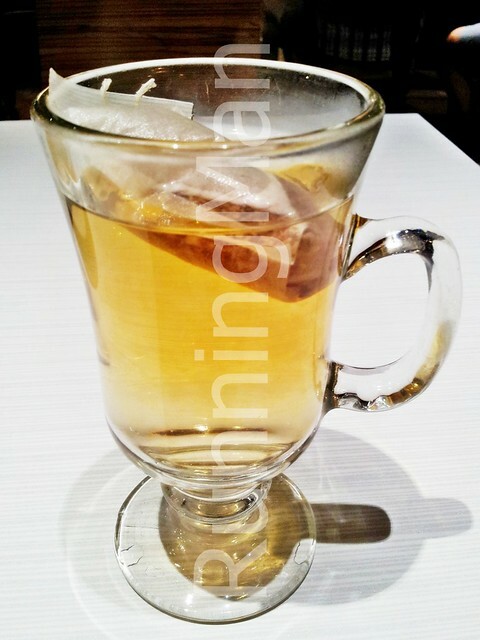 They also have quite a good range of teas and coffees, including flavoured ones. 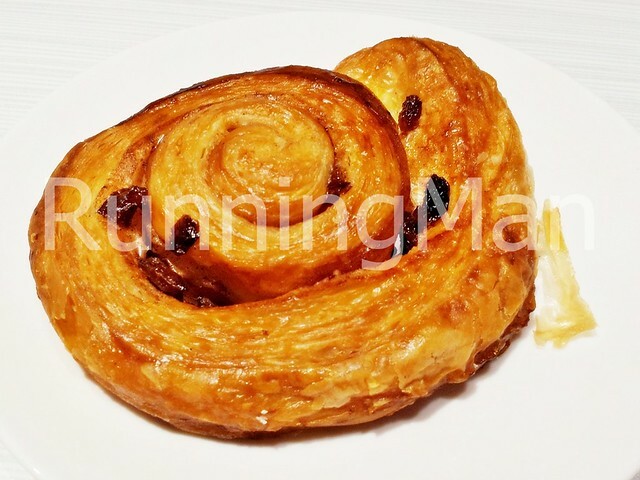 I liked the flaky, buttery crust of both the Butter Croissant and the Raisin Cinnamon Danish. The crust just shatters when bit. 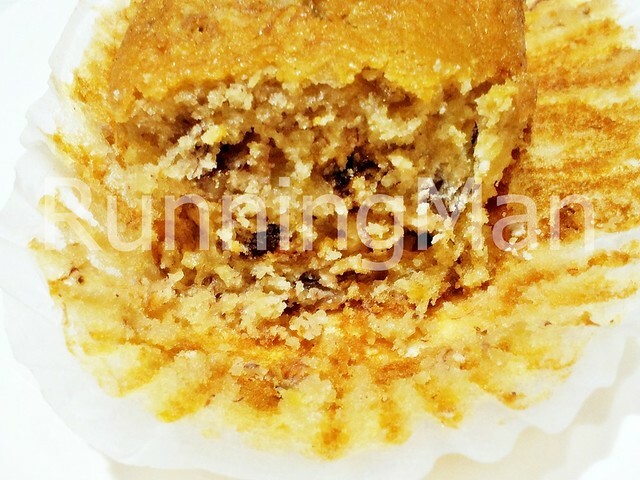 The Banana Walnut Muffin was quite a disappointment however, and probably the only item I don't like thus far. The texture was slightly hard, and difficult to cut. There were few walnuts within, and the banana taste could have been stronger. Not good. 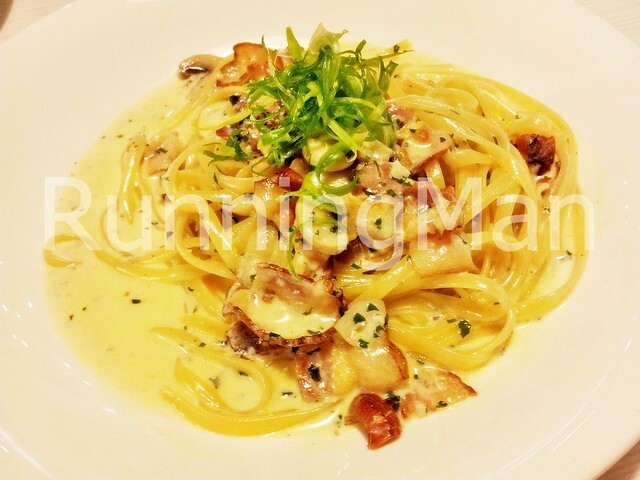 The Everything In And Egg consists of bacon, mushrooms and a sausage, with your choice of eggs. I went with my favourite, scrambled eggs. The eggs were done really well, creamy and smooth, the mushrooms were fresh and well seasoned, and the bacon added a nice smokiness. The sausage was just decent. 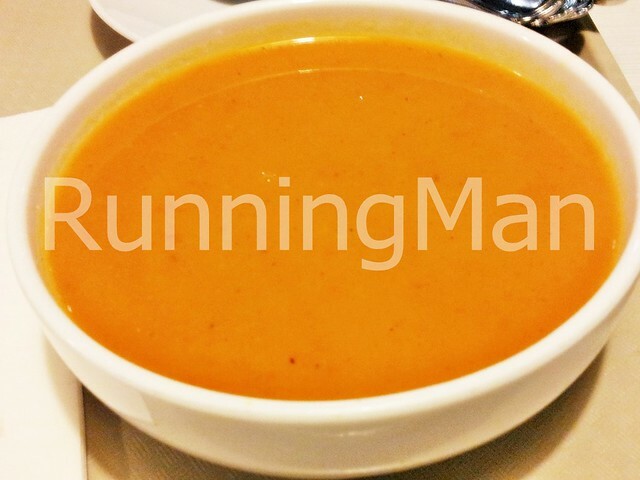 Cedele has a rotating daily list of soups, and every order also allows you to help yourself to complimentary Bread. 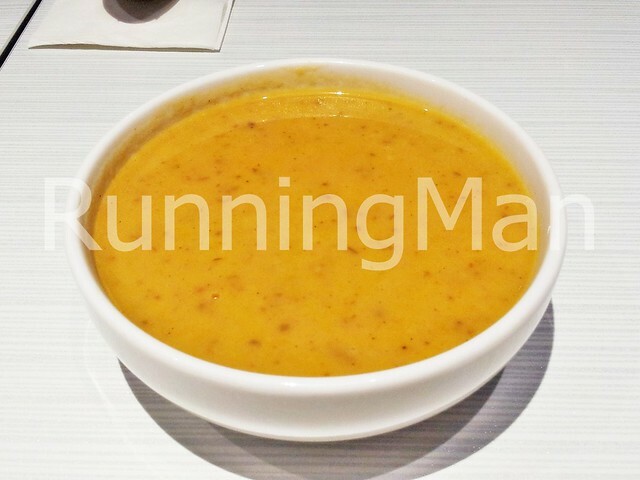 I tried the Apple Pumpkin Soup; it was thick and smooth, with a slight sweetness complementing the overall savouriness. 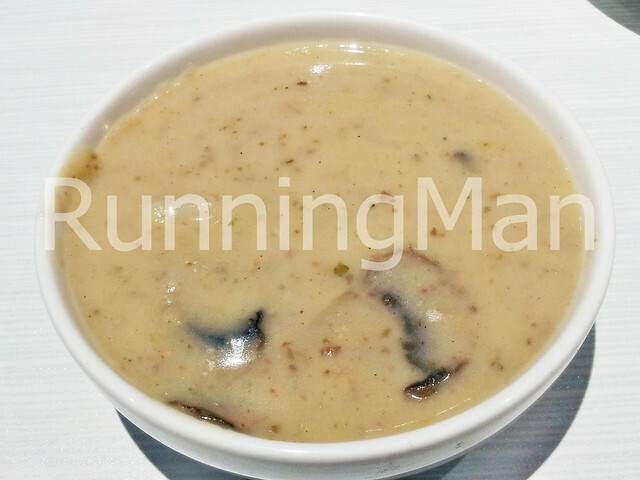 The Boston Clam Chowder had a good helping of ingredients, but I felt the taste of clams was slightly overpowered by the taste of mushrooms. 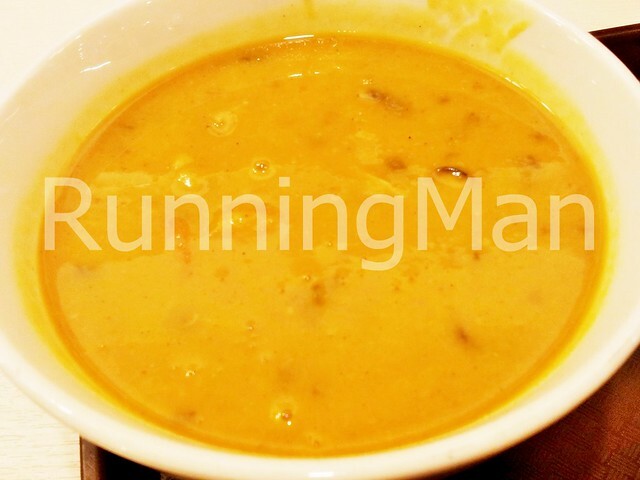 The Chicken, Tofu And Mushroom Chowder was rather thick, and I felt it lacked substance. 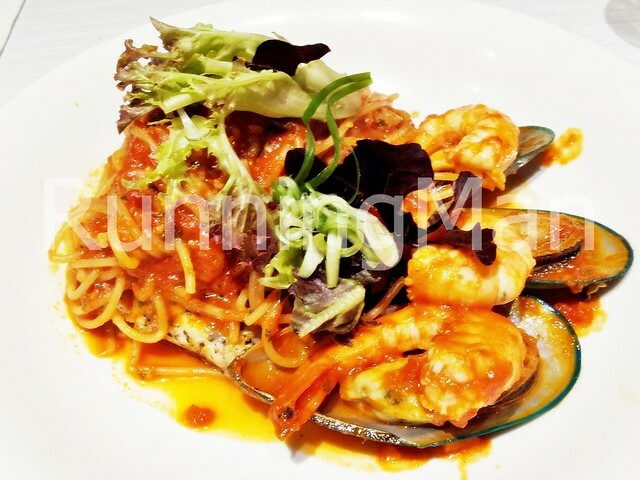 Their Red Seafood Spaghetti has sea bass fish, prawns, and mussels. All the seafood is very fresh, and tasty! 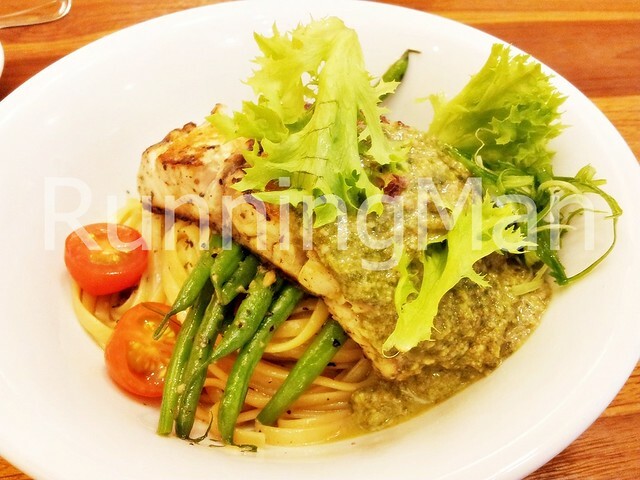 I also loved the clean, fresh flavours of the Fish Coriander Pesto Linguine. 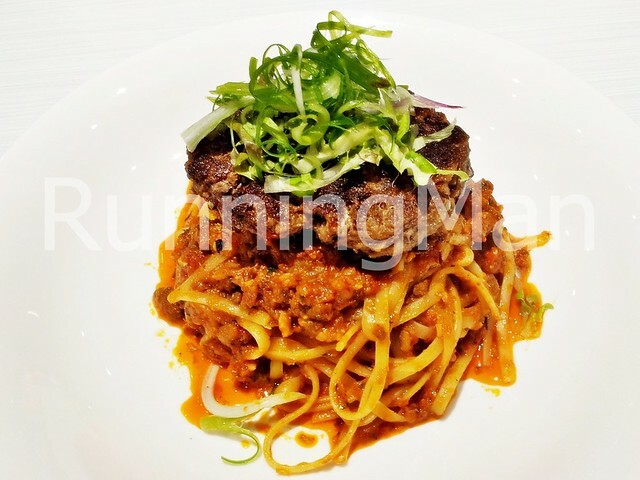 The Beef Patty Bolognese Linguine was slightly on the oily side, but the beef was well grilled and extremely tasty. The tomato sauce isn't very prominent in taste though. 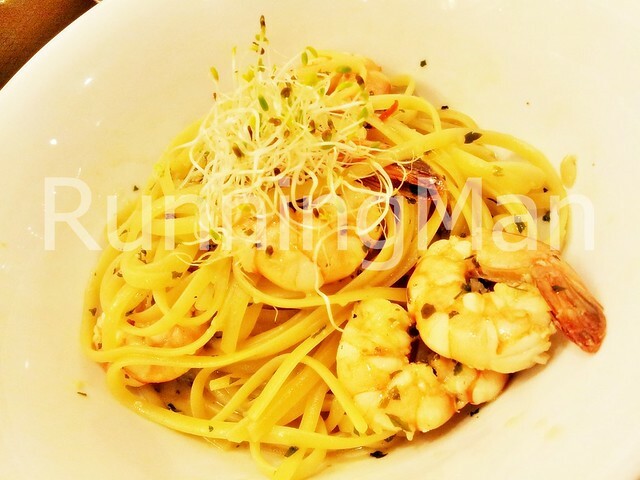 The Prawn Chilli Lime Linguine has a unique lime-based sauce, and the overall dish is rather sour and tangy. 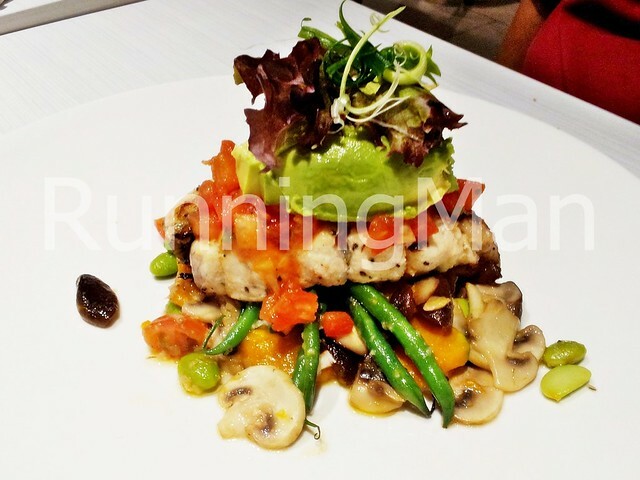 Both dishes which feature sea bass fish, I personally prefered the Sea Bass And Shrimps, Tomato Salsa, Red Capsicum Quinoa, which had an interesting quinoa base (something not commonly served in Singapore), over the Sea Bass, Avocado, Mixed Vegetables Sauteed With Edamame Beans, as the avocado was still slightly unripe. 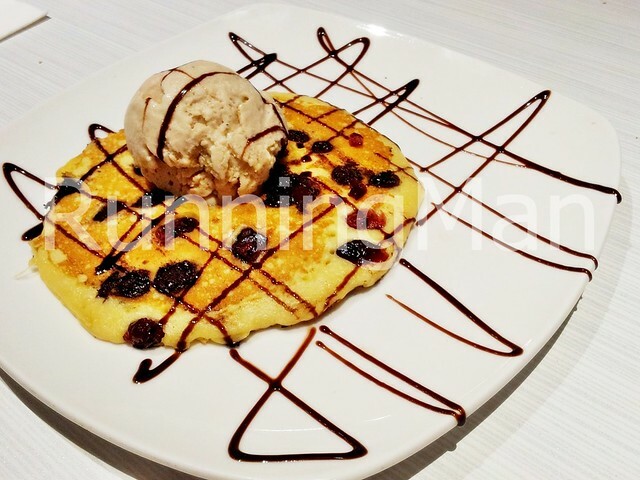 The Pancake Chocolate Cranberry With Irish Cream Ice Cream was packed with chocolate chips and cranberries, plus a choice of Ice Cream. However, I did feel the pancake was a little too thin for my liking, making it less fluffy. 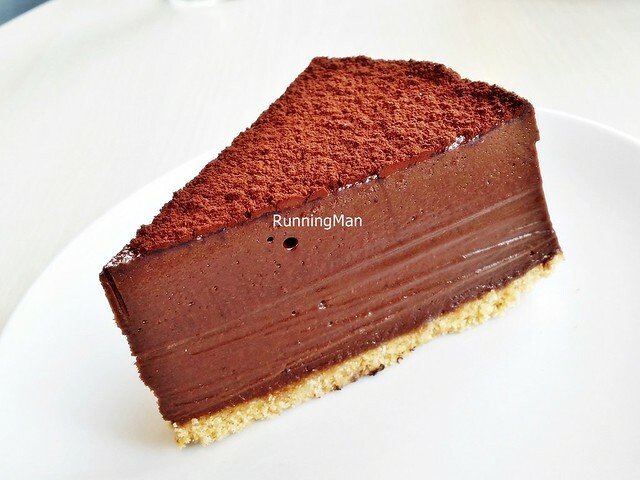 The Eggless Chocolate Truffle Cake was voted by readers of the Straits Times as one of the 10 best cakes in Singapore... in 2005. Now, in 2015, nearly 10 years later, the cake is still as good as ever. 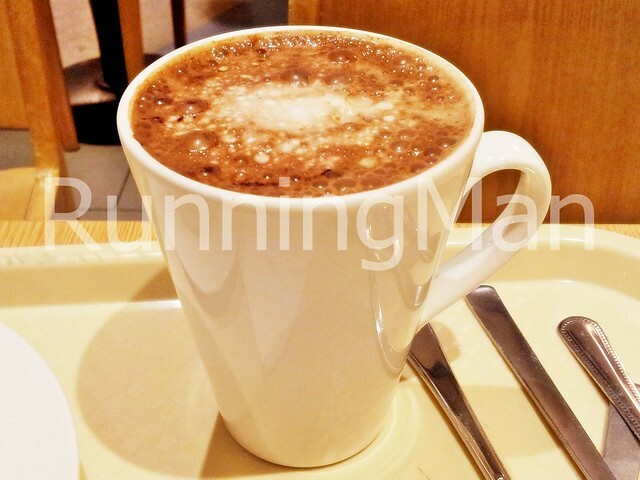 Smooth, almost creamy in texture, very rich with a deep chocolate flavour, the cakes just slides into your mouth like velvet, decadent and luscious. Highly recommended! 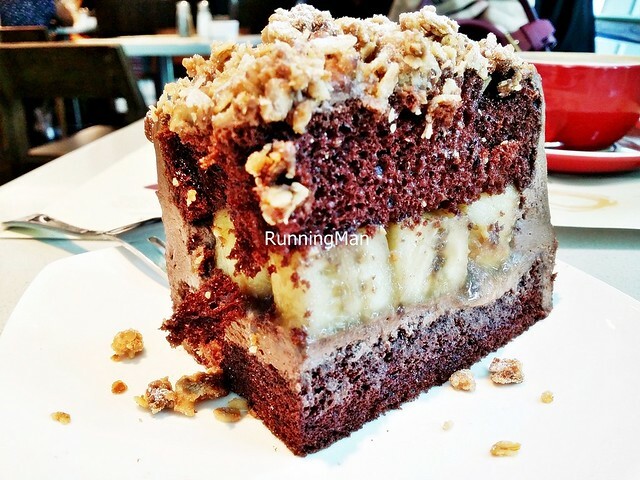 The Chocolate Banana Espresso Cake has a moist, rich chocolate sponge cake, layered with espresso coffee cream, with sweet fresh banana slices within, and crunchy sugar coated oatmeal on top. 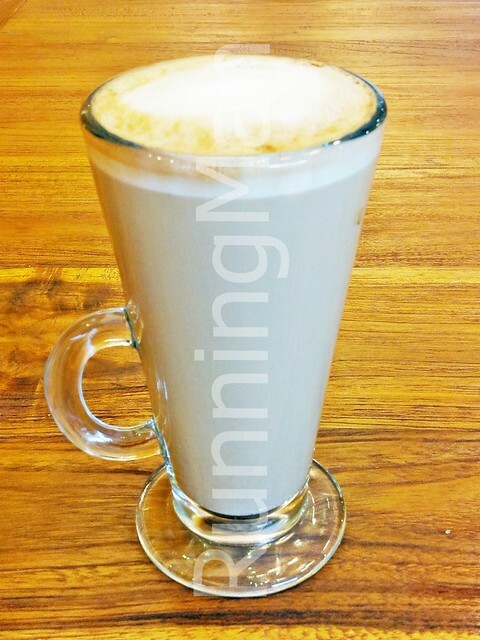 Love the combination of textures and tastes, it all works together delightfully! 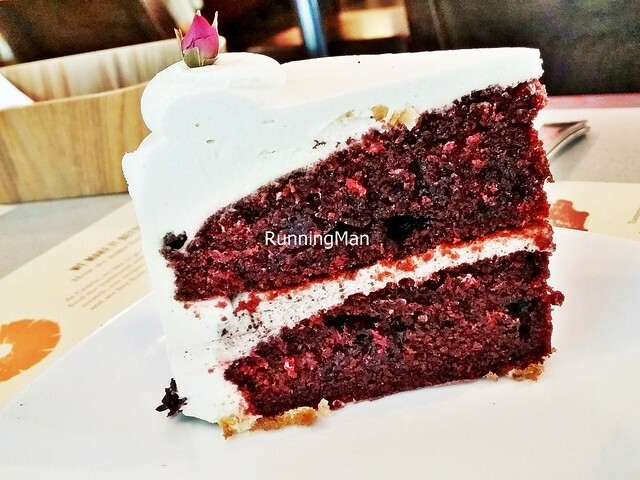 The Red Velvet Cake has a really thick layer of cream cheese frosting, but at least the vanilla sponge cake is moist and soft. Decent. 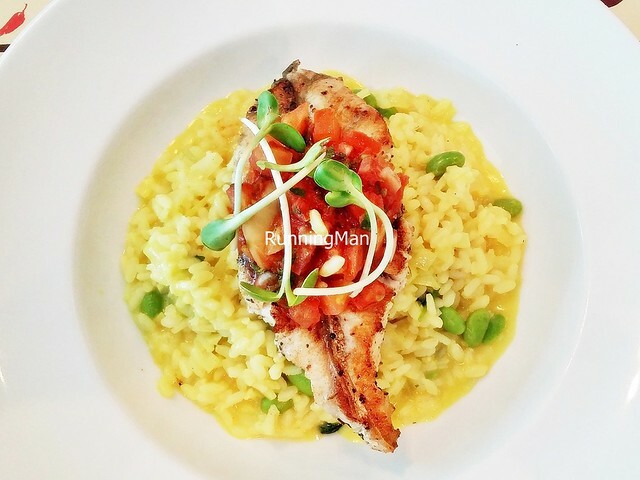 Loved the Sunrise Risotto, with its turmeric infused risotto rice, edamame beans, and large fillet of deboned sea bass fish, topped with a fresh tomato salsa. 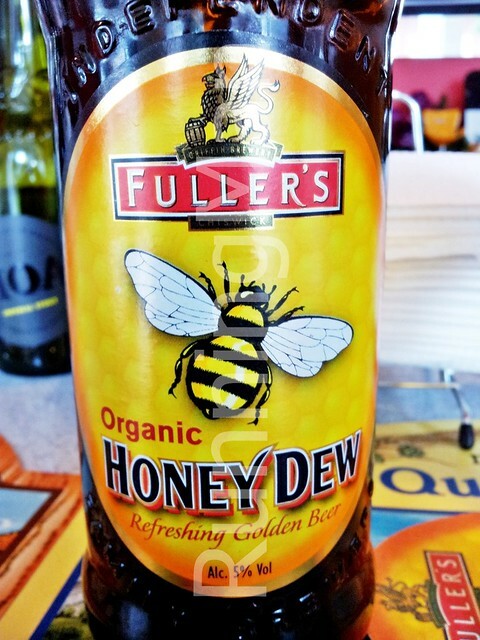 Tasty and lovely!